In your mixer bowl, Sprinkle gelatin over cold waterl and let sit for 5 minutes. Stir together the sugar, corn syrup, water, and salt in a medium saucepan over high heat. Slowly pour the hot mixture into the mixer bowl over the gelatin, keeping the mixer running. Increase the speed to medium and beat for 6-7 minutes until white and fluffy. Pour mixture into the prepared pan, using an offset spatula to smooth it into the corners. Use a knife to loosen the marshmallow from the edges of the pan. 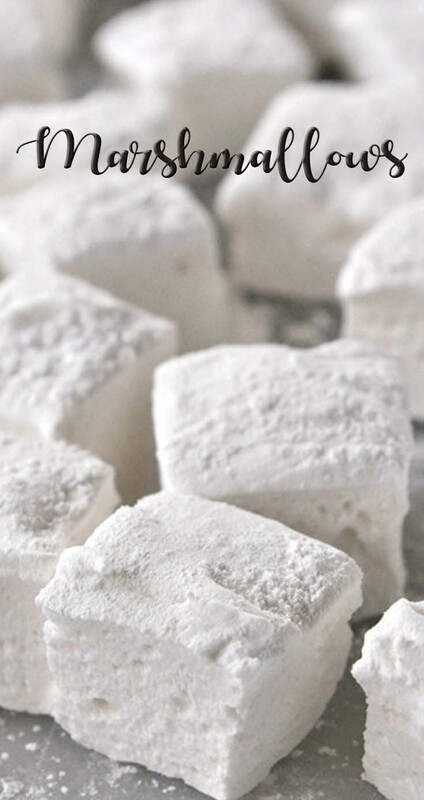 Turn over onto a powdered sugar dusted work surface, cut into squares with a knife or pizza cutter and toss marshmallows into powdered sugar to coat all sides, shake off the excess.